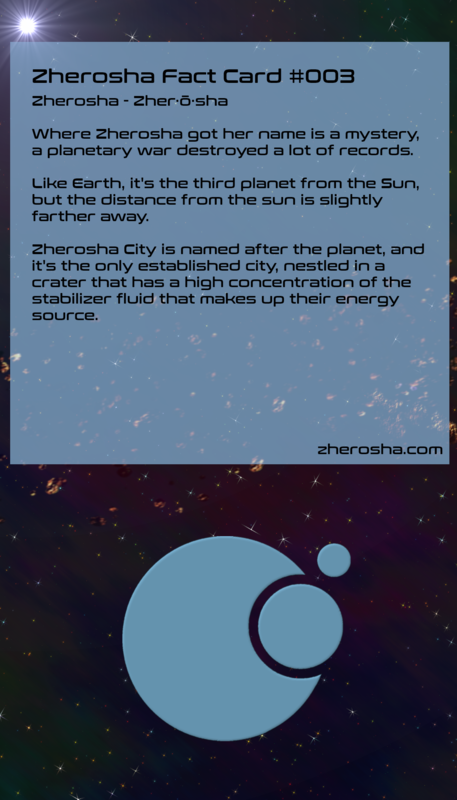 Zherosha city is nestled in a crater that is thought to be created by a meteor from "The Wall." This meteor is probably the reason why there's a high concentration of stabilizer fluid" in the area. Some rumors are floating around that there might be an old "Zherosha city" like there is an old Natisien settlement. But those are just rumors. Outside of some ruins, Inersiens haven't found much to indicate that there was a large city elsewhere. A wall surrounds Zherosha that also houses the transport tubes. The inner transport tubes used to be the original wall; now it's used to keep the city divided into three segments. The tower was built before the genetic split between the Natisiens and Inersiens, and not much was known about it, except that it may have been the first thing that was built and it was built out of ruins of another city. It's the only thing not protected by the city's shield.